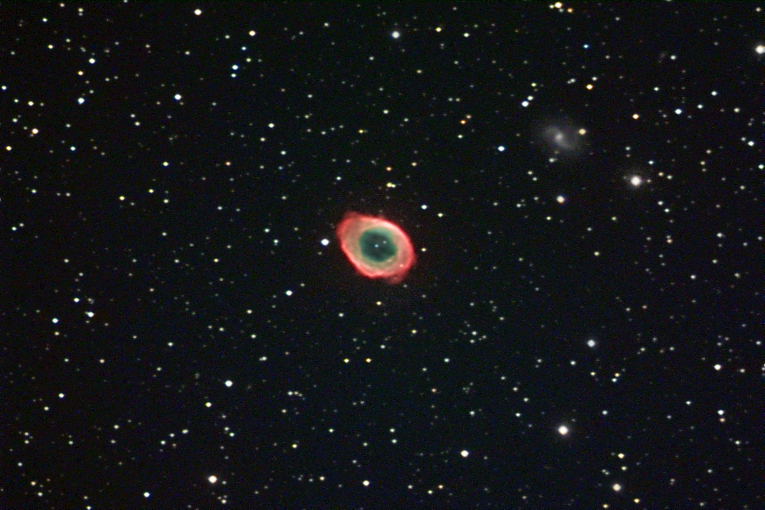 A very small planetary nebula in the constellation Lyra. You can see a small galaxy, IC1296, in the upper right. Note: This image received 2nd Place for the category "Deep Space - Nebula" at the 2004 MidAtlantic Star Party Astrophotography contest.